As evidenced by prehistoric humans in caves in France, we are compelled to tell our stories. It’s just a part of what makes us humans. Some suggest that the ancient paintings of the Lascaux Caves in France told the story of successful hunts and recording them on the cave walls would insure the success of future hunts. 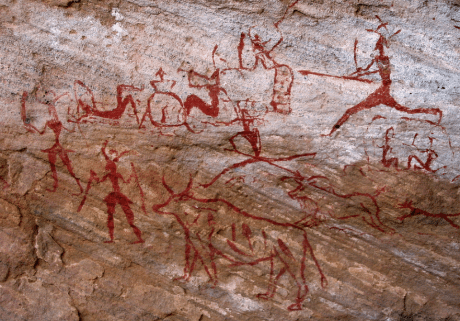 Therefore, it should be no surprise, that today’s hunter/gatherers have discovered the use of moving pictures (video) to insure their future success in the marketplace. The use of video on current corporate websites is common and is on the rise with no end insight. What is less common, and therefore much more compelling, is the use of professionally produced Visual Stories. Stories that move your audience to action. Visual Stories can employ illustrations, animations and motion graphics with a voice-over to explain complex products or services in a simple or compelling way. Customer Testimonials are a great way to get your message across. There is nothing better than seeing and hearing your customer extol the virtues of your products and services or explaining how your company helped them achieve their business goals. Product Presentations / Demonstrations are used to help your customers and prospects differentiate between the benefits of your products and services to those of your competitors. Corporate Overview videos typically showcase company history, key products, executive team and other top level business info. These can be an effective launch pad for other products or service specific videos. The only reason to use video at all on your corporate website is to convert eyeballs to clients and therefore help you achieve your corporate goals. The single most effective way to do that is to tell a compelling visual story. Saturn Lounge is a collective of visual storytellers who specialize in commercial photography and video production. They are a team of great listeners who love to collaborate and incorporate their creative talents to help you tell your story. Saturn Lounge is based out of Waukesha, WI.